In the days and age of the super wired society, it’s hard to go anywhere without our gadgets, be it laptop, tablets, or smartphones. Taking all these items with you on an overnight trip can be a hassle if you’re aiming to travel light, which is why the new Laptop Weekender bag by Skooba Design might just be the solution. Instead of carrying a separate briefcase or backpack for your electronics, the Laptop Weekender bag is a combination of your typical luggage with a special compartment for all your gears. The side pocket can hold a laptop of up to 15-inch display, while the opposite end secures an iPad or an e-reader in place. 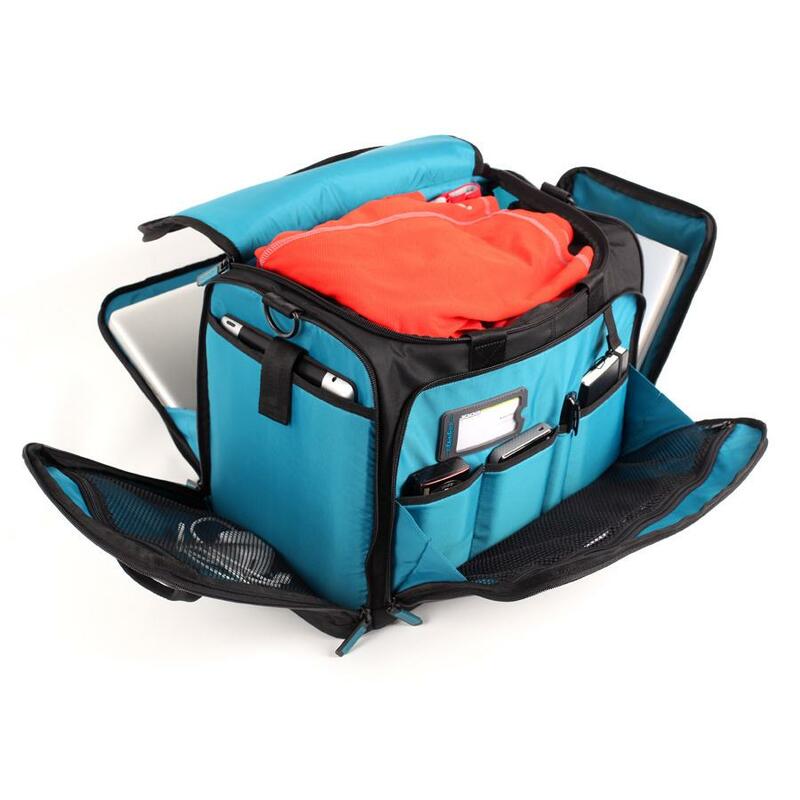 The entire bag is also padded for extra protection should you have to put the item in an overhead storage. 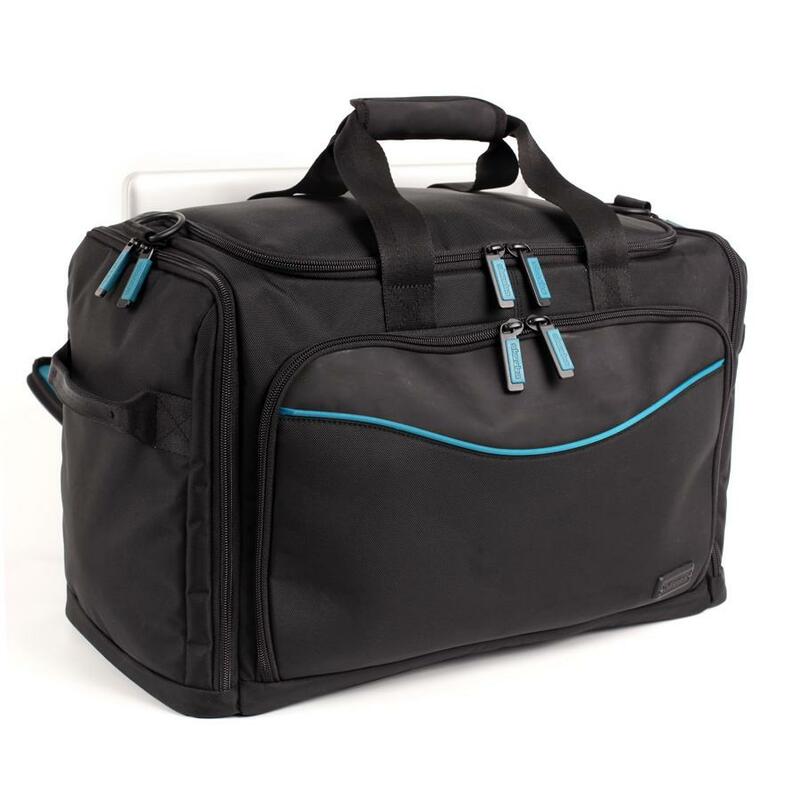 Aside from your electronics, the Laptop Weekender bag can also hold about two days worth of clothing, sportswear, and toiletries. Oh, did we mention the entire bag is made with water-repellent fabric? If you still have to bring an extra trolley bag, the Laptop Weekender also has a strap to secure it onto the handle bar to keep the luggage together. A removable strap also comes with the set should you prefer to wear the bag messenger style. At the moment, Skooba Design offers the product in just one color (black with blue trim) and pre-orders are now accepted at $180 apiece. The item is expected to ship on July 9. Watch the video below if you want a clearer demonstration of the Laptop Weekender bag. In the meantime, if you still need help figuring out how to get your gadgets to travel on longer trips, be sure to check out our how-to guide!